Square Enix Japan has announced Dragon Quest XI - revealing that the eleventh entry in the main Dragon Quest series will launch on an unprecedented three platforms - the PlayStation 4, the Nintendo 3DS and also the 'NX', Nintendo's new and as-yet-unannounced console. The different versions will offer two different games that follow the same story thread, similar to Ni No Kuni, which launched in Japan on both PS3 and the original Nintendo DS. 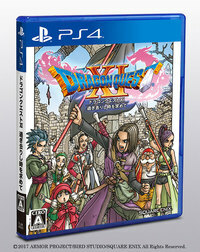 Both the PS4 and 3DS versions will launch in 2016 to conincide with Dragon Quest's 30th anniversary. Despite being different games from a gameplay perspective, the same core staff are working on both. The PS4 version is being co-developed by Orca, while the 3DS version is being built with the help of Toy Logic. It's currently unclear which version will make its way to the NX, but it is likely to be the PS4 version. The protagonist of Dragon Quest XI. In gameplay terms there's some key differences between the two - the PS4 version of the game will have a semi open world style similar to Dragon Quest VIII and like Kingdom Hearts III will skip over Square Enix's troubled Luminous engine technology to instead use Unreal Engine 4. The 3DS version, meanwhile, pays homage to the original Dragon Quest titles by playing in two ways - the top screen displays 3D action, while the bottom screen shows 2D sprite-based overworld exploration and battles - all simultaneously. The outcome is the same, but players can choose which style of action they prefer. During the same conference Square Enix also confirmed that the MMO-styled Dragon Quest X will come to PlayStation 4 and NX, while Dragon Quest Heroes 2 will arrive in Japan next Spring. Check out some first video of the PS4 and 3DS version of DQ11 below. 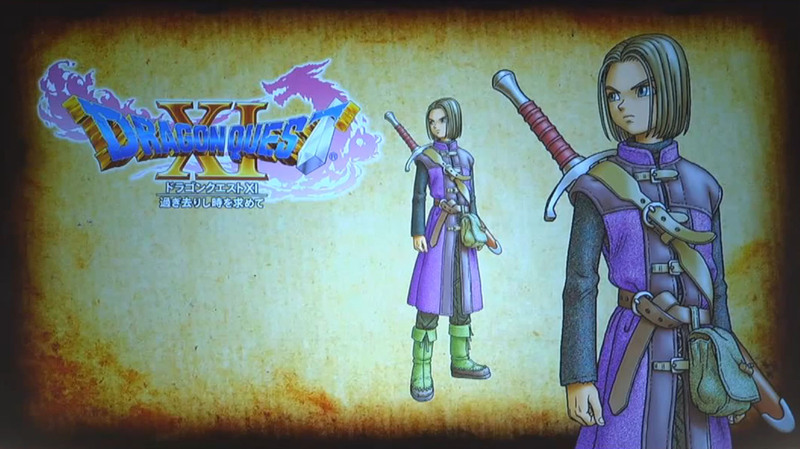 We'll have more on Dragon Quest as Square Enix reveal it, so stick with us!